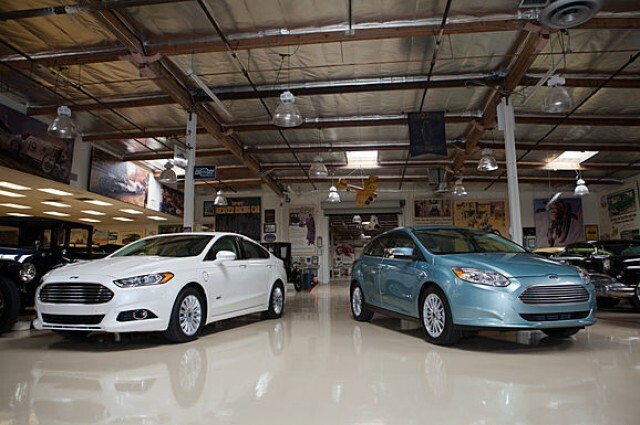 Jay Leno usually gets to test and review huge engined muscle cars and super cars of all sorts, but this time he had a chance to test out the Ford Focus Electric and the upcoming 2013 Fusion Energi plug-in hybrid. Overall, Jay was quite impressed with the cars. Jay did adjust his driving style to be more efficient, partially do to the dash help that coached him on driving the Focus Electric more efficiently – doing so earned him more butterflies on the dash. He also got a quick lesson on how the Ford Focus Electric’s regen braking system is different than the regenerative brakes in the Nissan Leaf. The Ford Focus Electric has received an EPA rated range of 76 miles and a 105 MPGe, both of which beat the Nissan Leaf‘s numbers of 73 mile range and 99 MPGe. While the Ford Fusion Energi isn’t due to the market until 2013, the 2012 Ford Focus Electric is just on the verge of being delivered to customers. Check out the Ford Focus Electric Forum to hear when the first owner’s receive their Focus Electric vehicles!